First published in 1988, this book provides students with a way to increase their understanding of the role of science and technology in society. 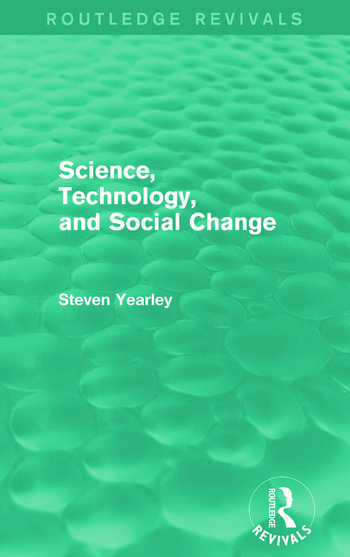 Steven Yearley draws on and develops ideas from research in the sociology and politics of science to address, in particular: the nature of scientific knowledge and the authority it commands; the political and economic role of science in the West; the relationship between science, technology, and social change in underdeveloped countries. Examples used range from nineteenth-century brain science to the strategic defence initiative, and from hugely expensive experiments in nuclear physics, to proposals for inexpensive boat-building programmes in the Sudan. Overall, this reissue provides a comprehensive and stimulating account of the role played by science and technology in contemporary social change.